A Double Door Aluminum Hatch is a secured door used to enter equipment vaults and containment tanks. 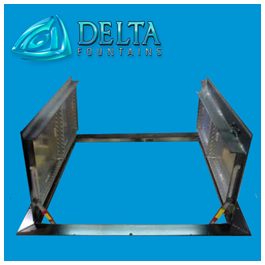 These hatches are stainless steel fabricated and will sit flush with the ground when closed. The hatch doors open outward and stand vertically. When closed, the doors are locked in place. 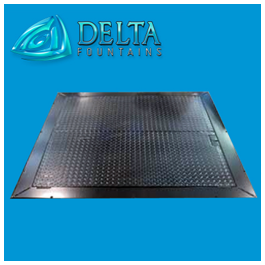 Delta Fountains advises everyone to remember to use some type of marker or protective barrier (temporary or permanent) to prevent pedestrian injury when a hatch door is open. For more information about Double Door Aluminum Hatches, contact us today.